Despite the fact that technology and computers are overtaking our communication, and even learning, methods, everyone still needs and uses pencils every day. 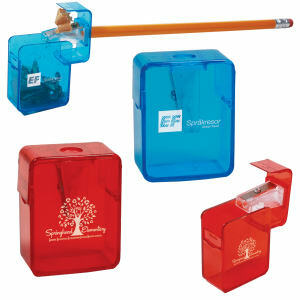 And where there are pencils being used, you can be sure that custom promotional sharpeners are close by. 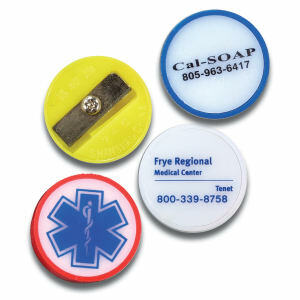 Show your clients and customers which organization is the sharpest by customizing these fantastic logo imprinted sharpeners. 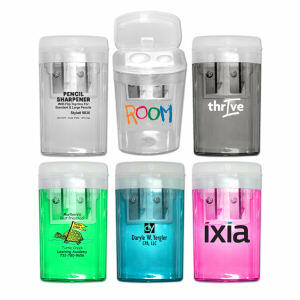 Since most pencils are created non-sharpened, custom logo sharpeners are immediately needed in order to write anything! 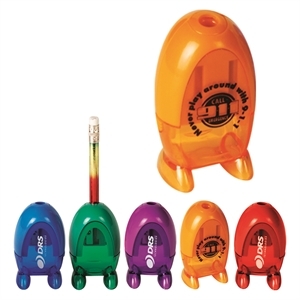 Provide twice the brand exposure by offering people customized pencils and personalized sharpeners with your printed logo on both! At IASpromotes.com, we offer various types of custom promotional sharpeners, from small portable sharpeners to larger electronic ones, too. 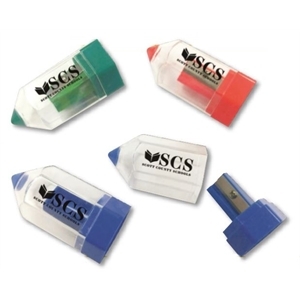 You can easily personalize these promotional sharpeners with your organization’s name and corporate logo, and use them as giveaway items at trade shows. 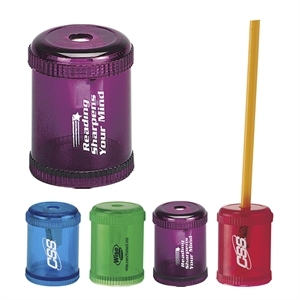 Keep your pencils as sharp as your brand image with our custom printed promotional sharpeners!